't Zand 15, 8000 Bruges, Belgium. The hotel is situated in centre Bruges, nearby the train station. All major tourist attractions in Bruges and the countless restaurants are on max. 5 minutes walk from the hotel. On arrival in Bruges, the guests are welcomed in our hotel by our helpful staff. 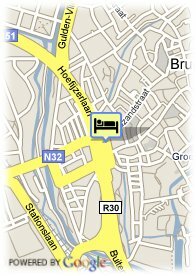 Your car can be parked in the underground car park "Centrum", located in front of the hotel. Paid public parking near the hotel (covered) (8.70 €). Near trainstation, Centre, Near highway, Near the historic centre, Near shopping centre. We have a cosy bar in the hotel and snacks can be provided 24/24. 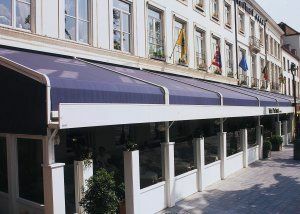 We are situated 800m from the train station of Bruges and only 5 minutes away from the town center.